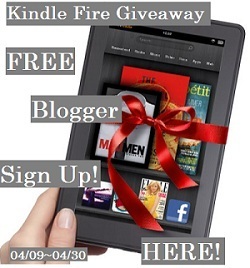 Bloggers: Would you like to join a great group of fellow bloggers for a Kindle Fire Giveaway? Just click the image above for more information. To my readers: Check back on April 9, 2012 for your chance to win a Kindle Fire. That way you can read load all your favorite books into one place and read away.